It can be frustrating when you’re trying to sell a home that doesn’t seem to want to move at all. Especially if you’re in an area that is experiencing heavy sales volume. 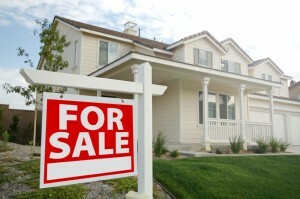 Home sales are up on the national level, and interest rates are low. Don’t give up on a house that won’t sell until you’ve tried these hints and tricks. You might have tried “staging” the home before, but a professional has an eye for interior design that will help your home look like a model for potential buyers. The extra money it costs to hire such a professional is typically eclipsed by the amount you would otherwise spend on mortgage payments and upkeep for a house that won’t sell. Another method you can use to sell the property is to try and offer an incentive with the sale, such as a free TV or some furniture. New appliances are another good selling point, and you can recoup some of those costs in the deal when you close if you know how to negotiate. You can also simplify and offer the potential buyer a home warranty, which would give the new owners peace of mind should any appliances break down. If all else fails, look into lowering or raising the price until you hit that sweet spot. Sound crazy? For whatever reason, certain price points will bring out buyers that you might not have seen before. One theory has to do with how buyers search, so be particularly conscious if you’re asking price is near a round number. You might consider dropping or adding a few thousand to that total to put your house in a new price bracket, which would expose it to a new set of eyes. Bio: For six consecutive years, Kuba Jewgieniew and the Realty ONE Group team have been voted one of America’s Fastest Growing Companies by Inc. Magazine.